What is the Scheduled Service Plan (SSP)? 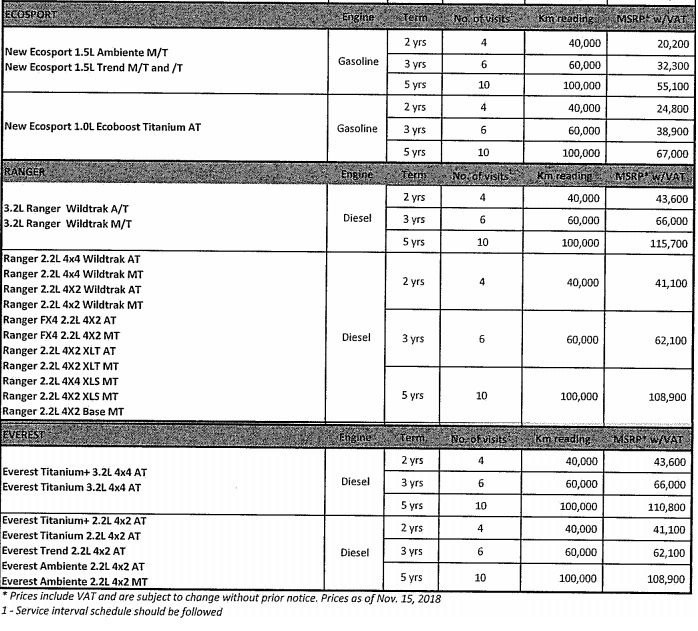 The Ford Scheduled Service Plan is a pre-paid maintenance plan that covers the Ford vehicle for up to a 5-year period from the date of purchase, thus shielding the owner from future price increases on parts and labor. This also eliminates repeatedly paying out for service maintenance visits. It is a cost-efficient way to ensure that the owner's investment is protected through a scheduled service maintenance program undertaken by Ford trained technicians using Genuine Ford Parts. They depend on your vehicle and how many service visits you want to prepay. How can I purchase the SSP? 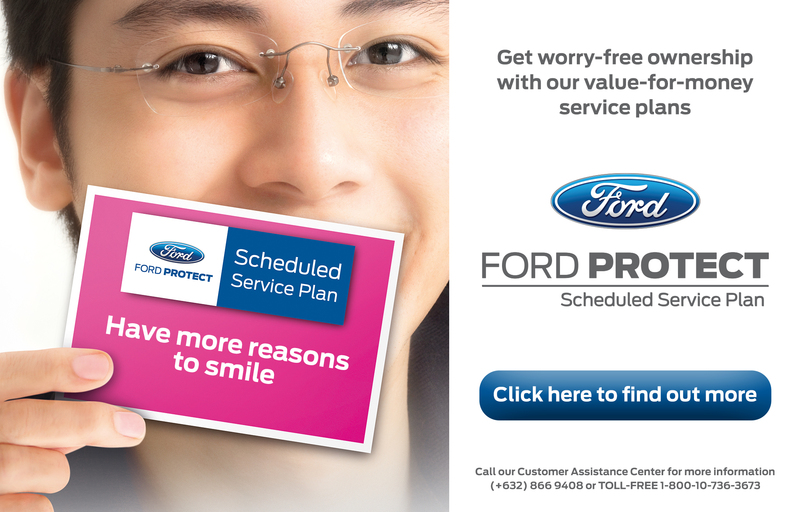 Scheduled Service Plan (SSP) can be purchased at any Ford dealership within the period of a new car purchase up to 6 months/10,000 Km, whichever comes first. We accept cash, credit card, managers check or 3-months installment by PDC.